Are you a teen girl? 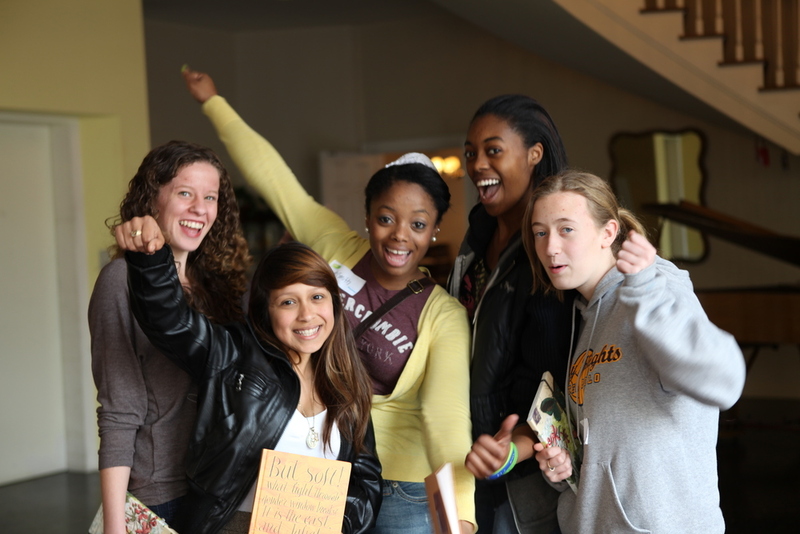 Become a WriteGirl Mentee! 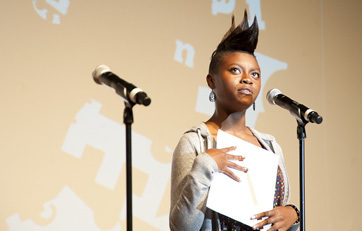 If you are between the ages of 13 and 18, and live in or near the Los Angeles area, we welcome you to join WriteGirl. The program is FREE, and packed with fun, inspiring creative writing projects. Our season runs from October through June, and we welcome girls to join at any time! Please complete the online registration form AND download and send in the Parent/Guardian Consent Form. Your registration will not be complete until we have received BOTH forms. Step 2: Parent/Guardian Form: Download the form below and fax it to 213.253.2618, email it to membership@writegirl.org, or mail it to 1330 Factory Place, Unit F104, Los Angeles, CA 90013. WriteGirl is accepting applications from women writers to mentor teen girls on a monthly or weekly basis. We are also seeking women AND men writers to mentor our diverse teens at various school sites throughout Los Angeles County. Help our teens explore their creative voice! If you have any questions about the mentor program please contact WriteGirl at membership@writegirl.org or call us at 213-253-2655. Apply your professional skills, explore your personal passions, and make a difference in a teen's life. All you need are tenacious communication skills, a love of writing, and the willingness to show up. Once we have reviewed your application, we will contact you about attending a volunteer training session. WriteGirl is pleased to offer one paid marketing internship in the summer of 2019, funded by the Los Angeles County Arts Commission Arts Internship Program. The Marketing Intern will develop a written 2019 Holiday Fundraising Plan for WriteGirl, outlining the goals, timeline, marketing strategies and tactics for an effective 10-week year-end campaign to raise significant funds for WriteGirl. The fundraising internship is open to college students who attend college or reside in Los Angeles County. ● Email a resume and at least one writing sample to membership@writegirl.org. We are now accepting applications for spring and summer 2019. College interns are given the opportunity to work on long-term projects geared toward their interests. Gain skills in event planning, PR, social media, office administration or career and college guidance, while supporting a creative writing and mentoring organization for underserved teen girls in Los Angeles. We can tailor the internship to accommodate your specific goals. Please note that this is NOT a mentoring internship, so you will not be directly mentoring girls in their creative writing. Minimum internship: 3 months, 8 hours per week. Required skills: Strong communication and organizational skills, familiarity with Google Docs and Sheets. Must have reliable transportation. Internships are unpaid. Perks: You'll be part of a network of successful women writers in TV, film and print! Applications for the 2019 WriteGirl high school summer internship are not open yet. If you have any questions about the internship program, please email Katie Geyer at membership@writegirl.org or call 213-253-2655.